> Wide photochromic range (cat.2 to 4). > Fast activation speed: changes from category 2 to 4 in 22 seconds. > SHR (Super High Reactive): the lens is even more reactive and gets lighter faster. > Exceptional anti-fog coating: no condensation, maximum longevity. > External oil-repellent coating: prevents marking. > Gold/brown tint: excellent light receptivity and protection. > Photochromic: the lens gets darker or lighter to match changing light conditions (cat. 1 to 3) regardless of the temperature. - > Exceptional anti-fog coating: no condensation, maximum longevity. -> External oil-repellent coating: prevents marking and facilitates water runoff. -> Red tint: accentuates contrast for better reading of the terrain. -> NTS: Non Temperature Sensitive. The lens is always activated and gets lighter at the same speed, regardless of the temperature. With Aerospace, Julbo has created the first goggle that works just as well when climbing as hurtling down the mountain! This goggle came about in response to feedback from riders on the approach routes, before tackling the virgin slopes. To avoid misting during ascents, the SuperFlow System enables the screen to edge forward for greater ventilation, while remaining perfectly protected from the sun's rays. 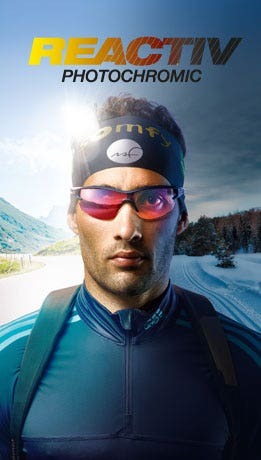 Add to that the very best Julbo technologies: a spherical screen and Minimalist Frame for XXL vision. 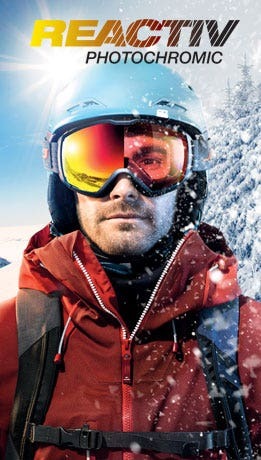 Aerospace is available with all the Julbo photochromic technical lenses The ideal goggle for all those who want a maximum of ventilation during a great day's skiing and no misting during breaks or in the cable car. Real comfort!